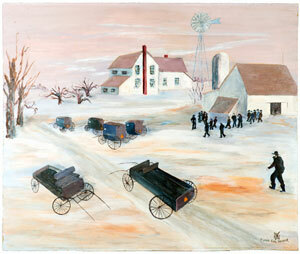 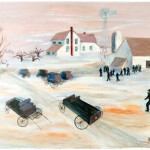 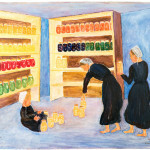 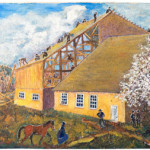 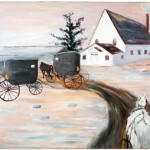 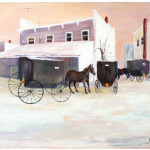 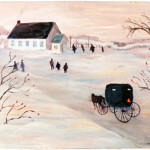 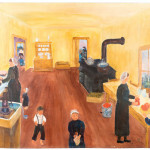 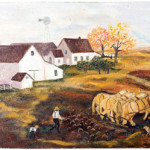 Ella Gardner completed most of the paintings in her Amish Series in 1988-89. 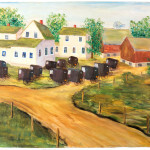 Her interest in the Amish culture grew after she and her husband Russell sold their dairy farm to an Amish family. 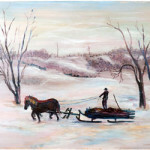 Today the farm is again farmed with horses and the electricity and plumbing have been taken out. 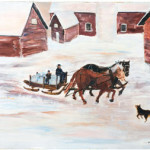 They are old fashion, but they survive. 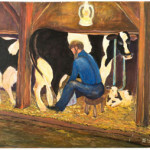 They go along at the same pace oblivious to up and down economics. 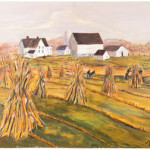 To them the land holds a promise and they are at home in an environment that is constant and rhythmatically continuous.